For a growing number of people in South Yorkshire, their lives are lived struggling to meet their most basic needs. Whether that means keeping a roof over their head or a meal to sustain them, they need help to survive. With recent findings from the Vital Signs 2018 report revealing that the top concerns for local people are deprivation and homelessness, people in our region like many currently across the UK are in crisis. Recognising this urgent need for support, the Homeless Survival Guide for South Yorkshire has been officially launched as a comprehensive resource for anyone who is experiencing homelessness or the risk of becoming homeless. The guide gives essential information on the variety of charitable and public sector services available in Sheffield, Rotherham, Barnsley and Doncaster that can be accessed for support. The Homeless Survival Guide is the vision of High Sheriff of South Yorkshire, Barry Eldred. After coming across a similar guide in Bristol, the Survival Handbook produced by the charity, Caring in Bristol, the High Sheriff was impressed by how essential a resource the guide had become for many vulnerable people in the city. Resolving to replicate the guide’s impact in South Yorkshire, it is set to be distributed and made accessible to those most in need. High Sheriff of South Yorkshire, Barry Eldred DL said: “It was my hope that my year in office as High Sheriff would enable me to make a difference for those leading complex, fragile lives. “With the help of SYCF, the Local Authorities, and the amazing energy of the charities involved in caring for those in desperate circumstances, my ambition has come together in this Guide. In partnership with South Yorkshire’s Community Foundation (SYCF), the guide is already being positively received by local charities. It is expected to have a positive impact on the lives of many local people and as a resource for services also. Looking ahead plans are already in place to develop an online version of the guide. An online version will offer another way of accessing vital information which can also be regularly updated with the latest resources available in each area of South Yorkshire. 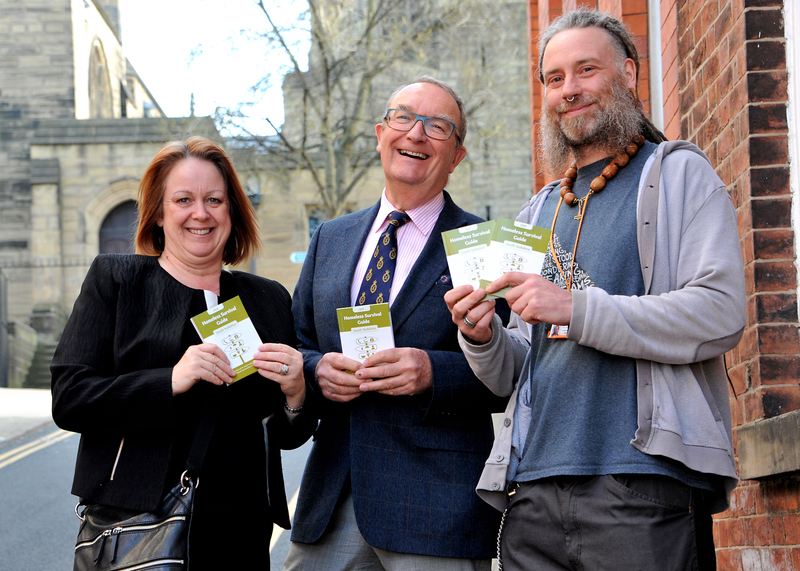 The South Yorkshire Homeless Survival Guide has been made possible with the support of partner agencies and all four local authorities and thanks to donations from generous local businesses and people.